What appears to be harmless little whirlwinds and dust devils turns out to be a precursor to something a lot more deadlier and ends up threatening New York City's very existence. 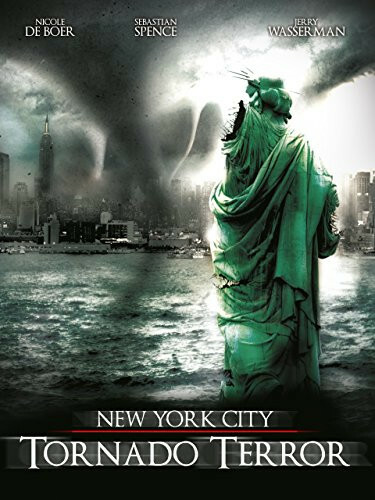 Three similar and strange weather events occur in New York City within quick succession, each starting with small funnel clouds, which onlookers initially believe "childlike" and thus harmless until they coalesce into one large destructive tornado. The first, which takes place over the skies of Manhattan, takes down a light aircraft. The second and third, both on the ground, take place in Central Park and on Liberty Island respectively. Among those investigating the occurrences are husband and wife Jim and Cassie Lawrence, deputy mayor/emergency expert, and meteorologist respectively. Both were in Central Park during that specific occurrence, Cassie who witnessed it and cannot explain it never having seen anything like it. She eventually comes to the conclusion that these events are caused by a split in the upper and lower atmosphere, perhaps from climate change, and that they will continue unless something is done. Cassie, who is an expert in the field, will have to convince the powers that be that her solution is the correct one, despite the involvement of Dr. Lars Liggenhorn, who the authorities believe is a crackpot, and despite the contradictory advice of other so-called authority experts. Meanwhile, Jim has to manage the messages for the mayor, Johnny Leonardo, who wants to put as non-threatening as spin on the situation as possible. As an ex-firefighter, Jim also has to assist in helping those that may be caught in the destructive path of any of the tornadoes and their associated phenomenon. Caught in both Cassie and Jim's thoughts are Cassie's visiting niece, Lori Lawrence, and rookie firefighter, Brian Flynn, who were known to be on a date on Liberty Island at the time and who are unaccounted for. Regions are unavailable for this movie. 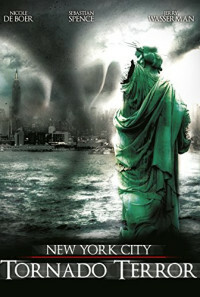 Click the "Watch on Netflix" button to find out if NYC: Tornado Terror is playing in your country.